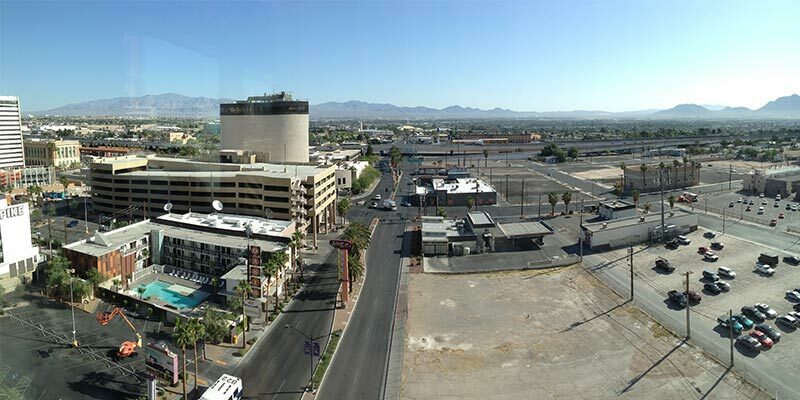 In the beginning of 2012, Zappos began making plans to move their headquarters into downtown Vegas, and a year into the project, I got to visit them and checked on their progress. I was there with a group from Providence called RallyRI learning from the Downtown Project, and here are some of my thoughts. My first impression of Tony is of a quiet and reserved man, with a sense of thoughtful calmness in his speech. If you don’t already know about him, you would least suspect him to be a CEO of a company that was recently purchased by Amazon for a billion dollars, let alone pick him out of a crowd. Therefore, I was surprised to run into him so frequently in the few days that I was there. He seemed to be everywhere, from his corporate headquarters at Zappos, to a coffee shop in downtown, to leading a llama parade. He is involved with every aspect of his business, but I think more importantly is that he is involved in the lives of those around him by making himself available to his staff and to residents in downtown Vegas. It wasn’t until I began reading his ‘autobiography’, Delivering Happiness, that I learned about his background, his story, and gained some insights into who he is and the way he operates. What he is doing is unique, counter cultural and baffling to corporate America, yet it is working. The first attempt is at building an unconventional corporate culture at Zappos where it is less focused on efficiency but on the happiness of customers and staff. In his new project, he is bringing his unconventional methodology into shaping culture in downtown Vegas. What stood out to me in his book are the things he learned from professional poker, which define his methodologies. In poker, everyone plays to win. Most causal poker players are focused on trying to win at every turn, however, professional players have their eyes fixed on the long term win. If you break the game down, poker is simply a game of mathematical probability and is about consistency, even if you seem to be on a losing streak. Like a professional player, Tony does not confuse making the right decision with the individual outcome of every single hand. Focusing on the long term outcome takes the pressure off making mistakes in the short term. In just the same way, walking is second nature to grownups; we do not walk like toddlers focusing on where to plant our next step, but looking forward to our destination. I had no idea what to expect getting into Las Vegas and taking a cab downtown. I was dropped off at the Ogden, the only apartment building in downtown Vegas, where visitors stayed and Tony Hsieh lives. Immediately, I was initiated into Tony’s way of doing things; I found myself in his apartment with two dozen interesting people from around the country who were brought together to experience the revolution happening in downtown Vegas. For the next five days, we were immersed in the downtown project, visiting newly opened restaurants, coffee shops, co-working spaces, attending talks and the llama parade. I visited co-working space called Work in Progress, chatted with Tony Heish, met a film producer from LA, E-book distributor from San Francisco, designers from New York and Venture for America fellows working on local transportation solutions and the Vegas Tech Fund. The Downtown project’s guiding principles are: Collisions, Community and Co-Learning, and the outcome will be: productivity, innovation, growth and happiness. If we could reorganize the three guiding principles into the ‘Why, How and What’ framework; the ‘Why’ is the community, the ‘how’ is Co-learning and the ‘What’ are collisions. Communities, like matter, can neither be created nor destroyed. Communities form when individuals with similar values gather to share knowledge and partake in common experiences, so instead of defining who the community should be, we should look at the community is the fruit of these collisions and co-learning. The numbers are spectacular: $350 Million investment set aside for the development of downtown to build culture and community. Started about a year and a half ago, they have acquired about 35 properties, and broken ground in approximately 13 sites. They have launched a few businesses, including a bar, a clothing store and a wonderful breakfast place; and have already attracted other investors to start restaurants nearby. You can definitely see the underlying mission of accelerating Collisions, Community and Co-Learning coming alive on the main street in Downtown Vegas. Change can be exciting, but often at times challenging. I got the chance to talk to some locals about the project, and I have gotten mixed responses. With the entire Zappos staff moving into downtown, it will bring immediate vibrancy, but what will the impact be? Firstly, the Zappos staff will out number local residents, and will inevitably alter the identity of the city; secondly, real-estate value will soar, which will determine the types of business and investments the city attracts; thirdly, the homeless population who are already underserved will be further displaced. At the end of the day, communities are inherently self selecting, and because Zappos and Tony are going to be the dominate influencers of the culture, individuals will have to decide for themselves if the changes are for them. What I found most interesting about the Downtown Project is in how the Zappos culture carried over: the sense that everything is an experiment, and it’s alright not to know what the outcomes are. When you talk to Tony and his staff about what their plans for downtown, the most common answer that I got was, ‘I don’t know, let’s see what happens.’ It is not business as usual - Tony and his Downtown Project team are abandoning the traditional top-down, government driven way of urban planning, and adopting the bottom-up entrepreneurial way of validating assumptions at every turn. The Downtown Project community is adaptable and has a flexible infrastructure, an “open source” platform that fosters self-organization and actualization within the local community. The lack of traditional planning is, by no means, a reflection of a lack of leadership or vision. I would argue that Tony is making a strong statement to the community, like he did with Zappos, that he is leading a bottom-up movement. He is looking for the right individual, with the right motives to empower them by giving them access to the right resources. Besides building infrastructures for transportation, education and healthcare, Tony is looking to the community for ideas and leadership. 18 months in, there are a two examples that we can look at, a breakfast eatery named EAT and a fashion boutique named Coertie. Both are started by passionate local residents who are invested in building community. A wise man once said that investment in human capital builds a relational economy that eventually becomes a transactional economy. At the downtown project, Tony publicly said that he is not looking for the traditional momentary ROI (Return Of Investment); but rather ROC, Return Of Community. He is bringing people together in order to build a desirable community, that will in turn attract others who aspire to be part of it. Tony leads by showing the community what is possible, turning these investments into beacons of hope. If you want to go fast, go alone. If you want to go further, go together. At the end of the day, Tony could have done whatever he wanted to with $350 million. He could have built his very own utopia, but would anyone follow him? He understands the strength in numbers and allows that to drive innovation; just like he does at Zappos. Together so much more can be accomplished because the community scaffolding is designed to empower individuals, encourage connectivity, and inject intrinsic motivation across all community stakeholders. What he does is provide hope to the community by electing the ‘right’ people and supporting them with resources. I believe that this is a model we can adopt in any city or company to build lasting cultures that are unique to their communities. The goal of the Downtown Project is not to conform people to its' culture, but to create a brand that those with the same ideals cab rally behind. In essence, the downtown project is designed to continuously attract talent and curious citizens who will contribute their uniqueness and be active participants in defining the city’s future.